Savannah, a protester for Extinction Rebellion, defended the protests and said the group want to start important conversations. "You can't just put a load of trees on Waterloo Bridge!" Williams, who took part in Monday's protest, said at a meditation the night before that humans had declared war on nature. "We have to go on to a war footing". The group wrote to the Theresa May on Monday outlining their demands and asking for talks. They plan to engage in acts of non-violent civil disobedience against governments in capital cities around the world. 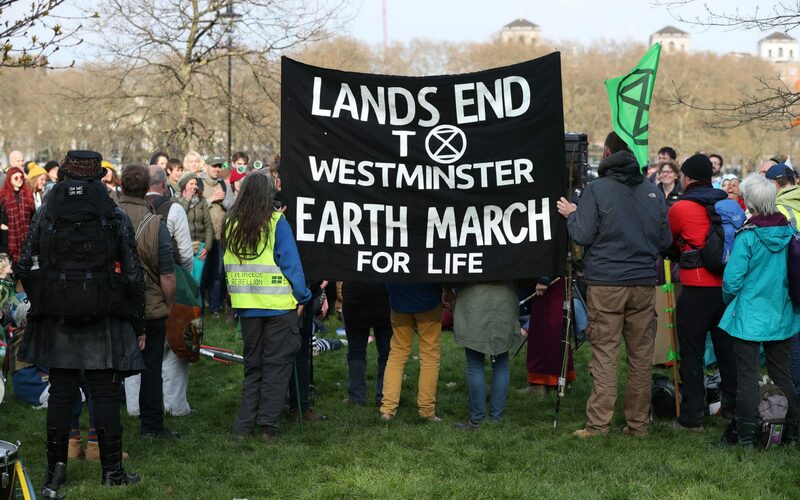 The group tweeted: "Day 1 of #InternationalRebellion saw actions in 33 countries, 52 willing arrests in London occupations of #MarbleArch #OxfordCircus #ParliamentSquare #WaterlooBridge #PicadillyCircus, overnight some occupations evicted". Scotland Yard said they have "appropriate policing plans" in place for the demonstrations and that officers will be used from across the force "to support the public order operation during the coming weeks". "Our objective is to create a political crisis, if that means people being arrested and going to jail then so be it".